GET THE NEW 2016 FORD FUSION TODAY! Visit Avantage Ford Inc. to take advantage of this sales event! 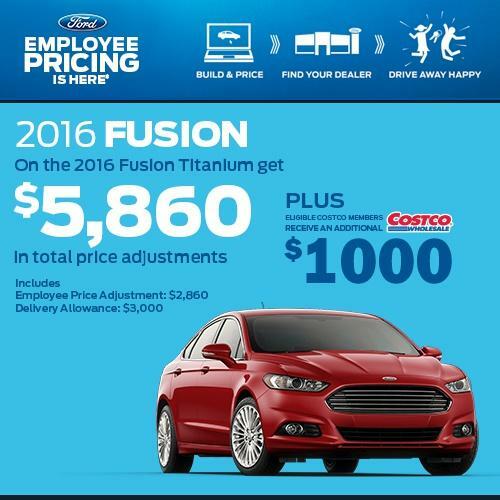 Get the 2016 Fusion Titanium and get a total price adjustment of $5,860*! PLUS, eligible Costco members receive an additional $1,000! Some conditions apply. This offer is valid until September 30, 2016! Hurry in and book your test drive today!